Hi guys, its Amber here from Barefoot Blonde! 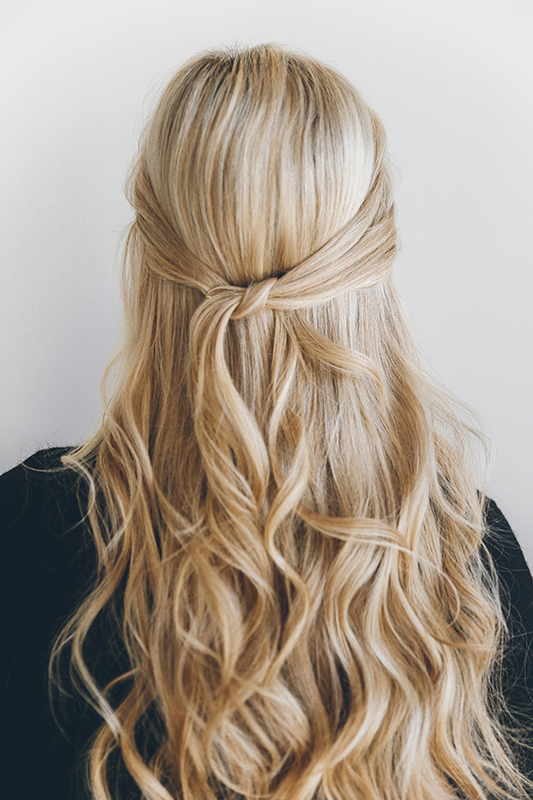 I am back again to share another hairstyle with you. 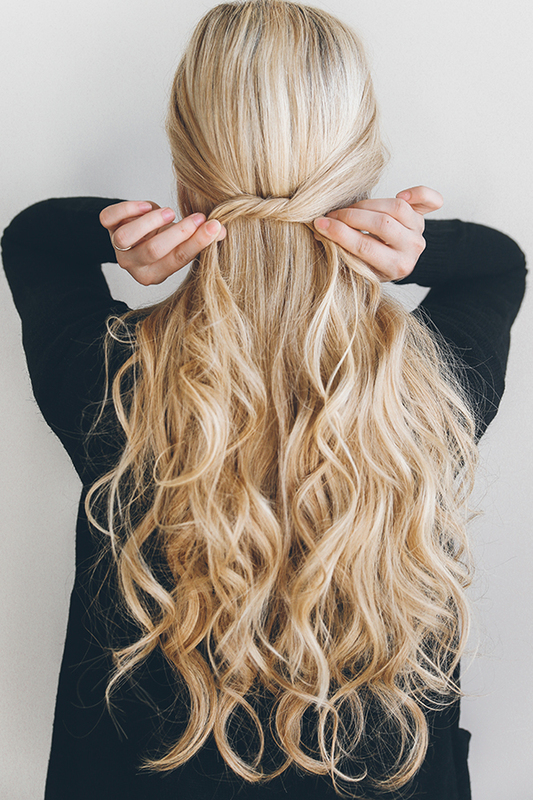 This one is so great because it takes only a minute to do, which is always a plus for those lazy days when you want to look put together. 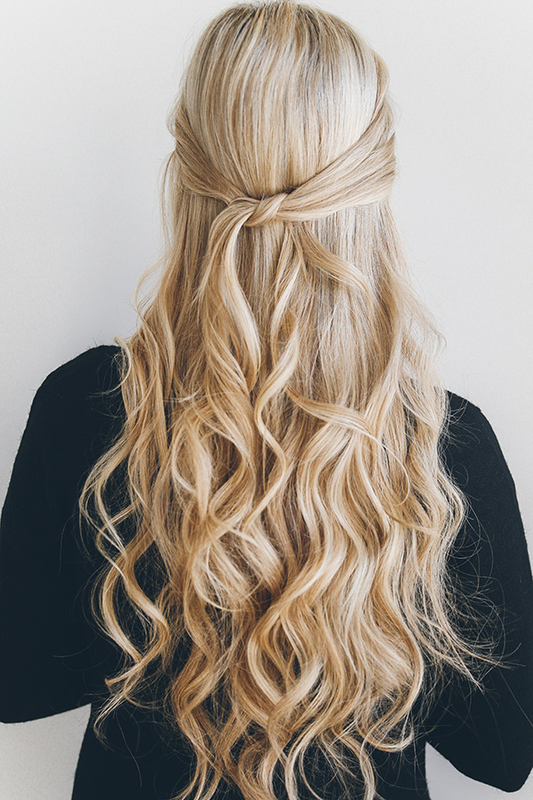 This style can be worn with curled hair, straight hair, beach waves, natural kink with surf spray—whatever you want. I hope you guys like it. Be sure to tag me @amberfillerup and @laurenconrad_com on Instagram if you give it a try! 1. 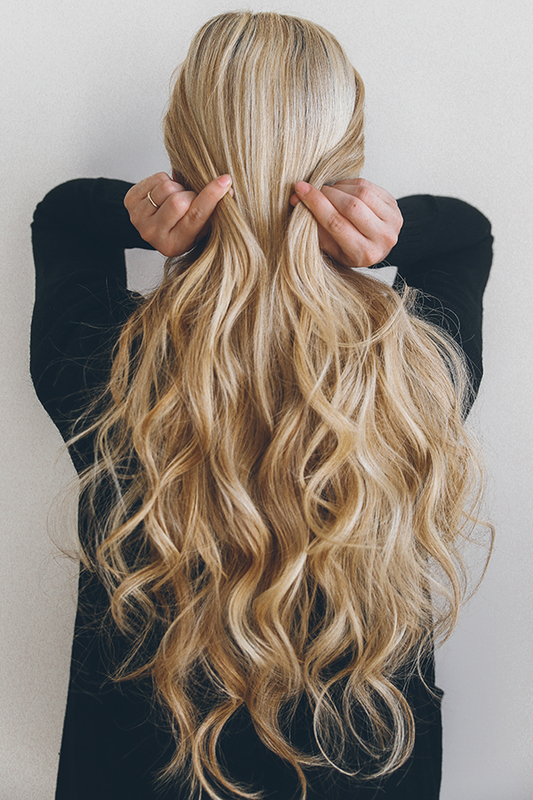 Start by taking two pieces of hair from each side of your head and pulling them backwards until they cross over each other. 2. After you’ve crossed them over, loop one over the other to make a simple knot (like the first knot you make when you tie your shoelace). 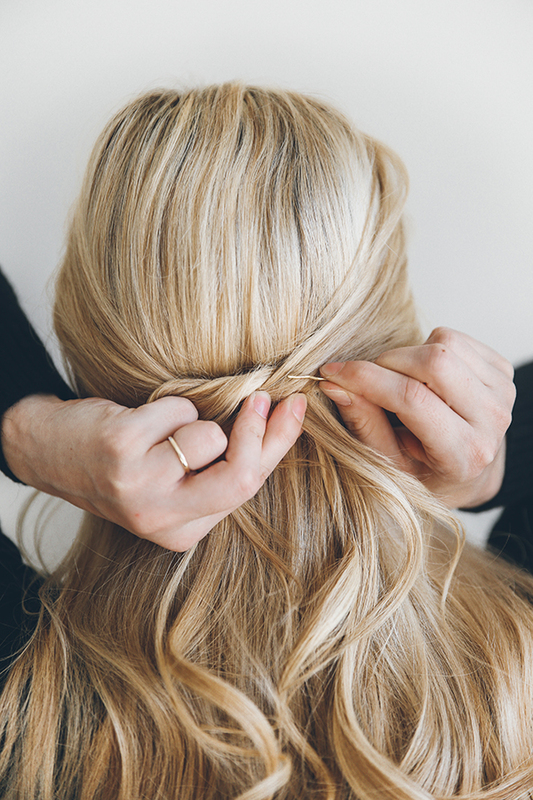 Then, use a bobby pin to pin the knot in place at the back of your head. 3. 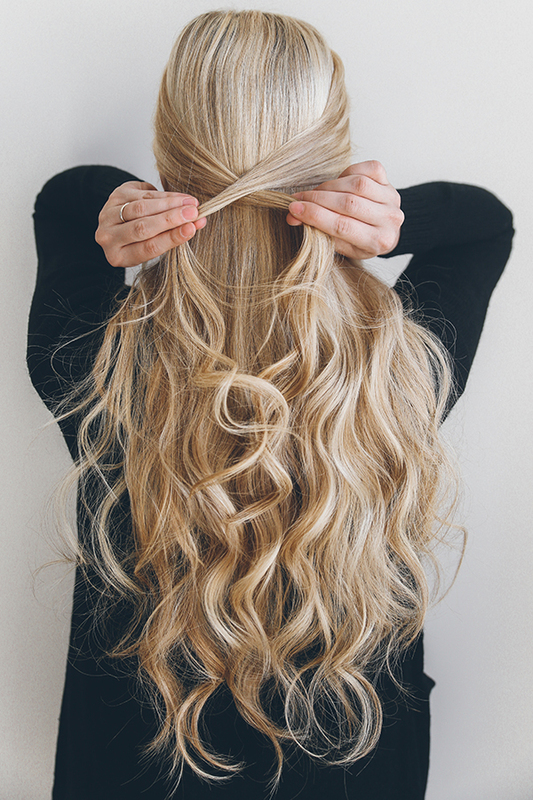 Use a second bobby pin to secure the knot, and try to push the bobby pins in so that your hair is covering them. And there you have it! Easy as 1, 2, 3. Do you have any hairstyle requests for Amber’s next tutorial?